On the streets of downtown Los Angeles sits a most peculiar building. 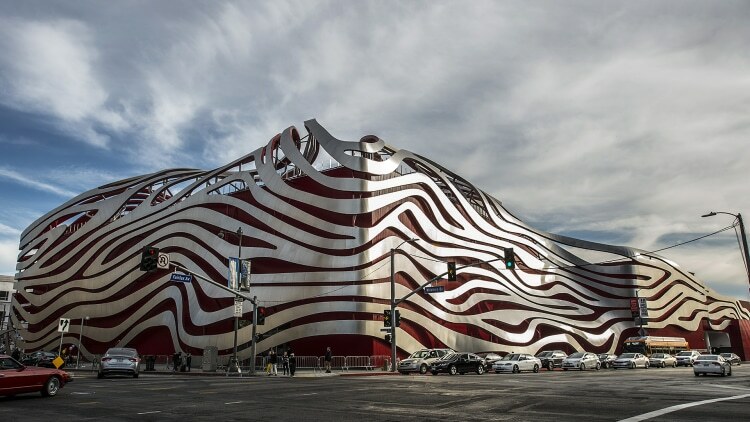 What was once a 1960’s department store was gutted and the facade turned into a Salvador Dali-esque dreamscape of what is now the Petersen Auto Museum. I’ll get to the car collection in a moment. but the first thing that hits your senses is the massive modern building that houses the collections. Built in 1962, the once huge windowless department store was abandoned in 1986 after the last tennant, Ohrbach’s Department Store closed its doors for good. 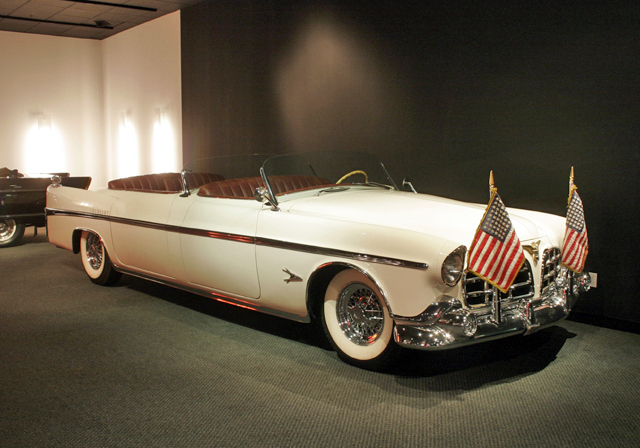 It sat empty for six years until magazine publisher Robert E. Petersen, and his wife Margie decided it would be the perfect location to house their idea for an auto museum featuring Petersens extensive collection. They first opened their doors in June 11th 1994. In 2015 the museum underwent a $90 million dollar make-over and now the corner Fairfax Avenue and Wilshire Boulevard has the most unique building in all of Los Angeles. Inside is over 100,000 square feet of showroom floor space that houses over 300 vehicles in 25 separate galleries. It also houses a secret level that’s been closed to the public until now. The Vault began tours in January 2016 which allows patrons access to view over 150 cars that are not on current display and that are housed off the main exhibits. 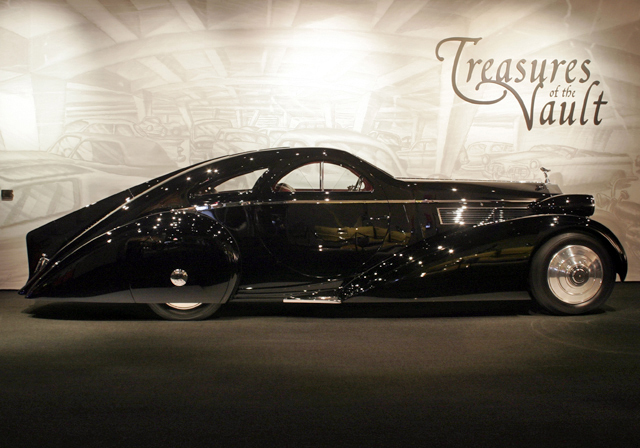 Cars in this collection include rare gems like the Plymouth Explorer concept car and the 1925 Round Door Rolls Royce. 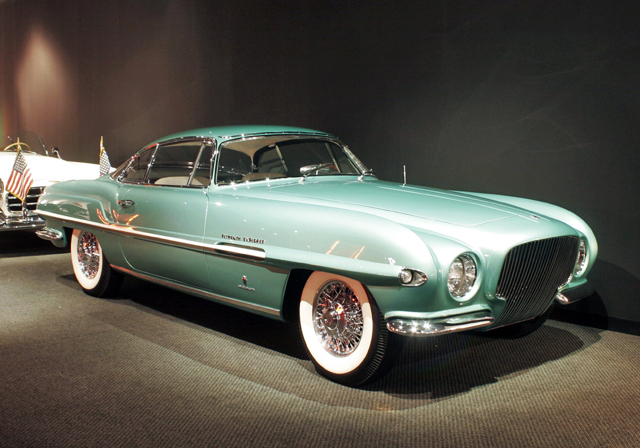 The cars in the vault are some that have been acquired by the museum but have not yet been displayed. Others are waiting for new exhibits that will feature them but until then, they are locked away deep underground. If you want the chance to catch a glimpse of these hidden gems, now is your chance. tickets are available for $20 in the months of June and July, but book that trip soon because it is already beginning to sell out. To learn more about the museum see their website HERE.